Congratulations on your engagement to be married! We are pleased that you are considering the celebration of this blessed occasion at The Episcopal Church of Saint Mary. There are TWO ways to approach a wedding at Saint Mary’s. ONE: A couple (with partners of any gender) may request to be married here as part of our parish. This entails meetings with the Rector for pre-marital counseling, intentional commitment to living in a Christian marriage, working with our various parish ministries in planning for the event (program preparation, flower arrangements, altar preparations, reception planning, etc), prayers for the couple on Sunday mornings leading up to the wedding, our Rector presiding over the wedding and bestowing the blessing of the Church, and the recording of the wedding in our historic parish register. This is the regular process for members of our parish community and their immediate family members. 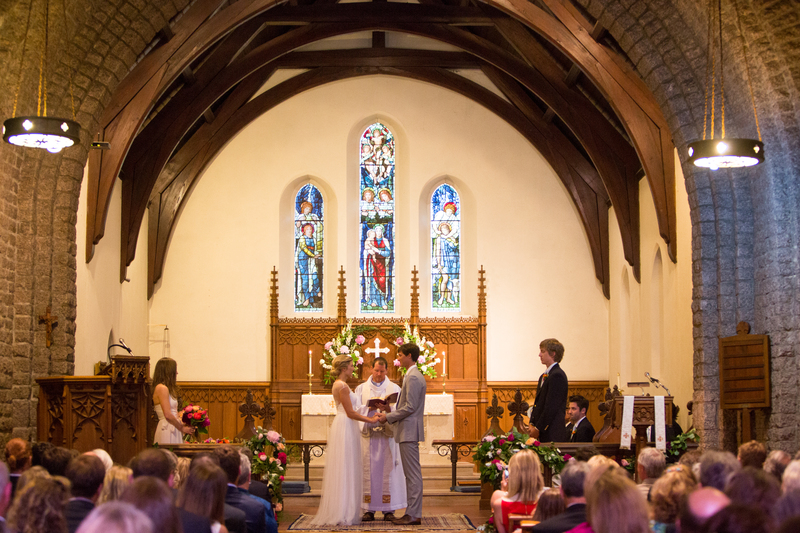 TWO: Non-parishioners may request to use our facilities for their wedding independent of the ministries of the parish. In this arrangement, the couple is requested to make a donation to support the facilities and mission of Saint Mary’s. The parish agrees to provide access to our facilities to the wedding party according to a pre-arranged schedule. 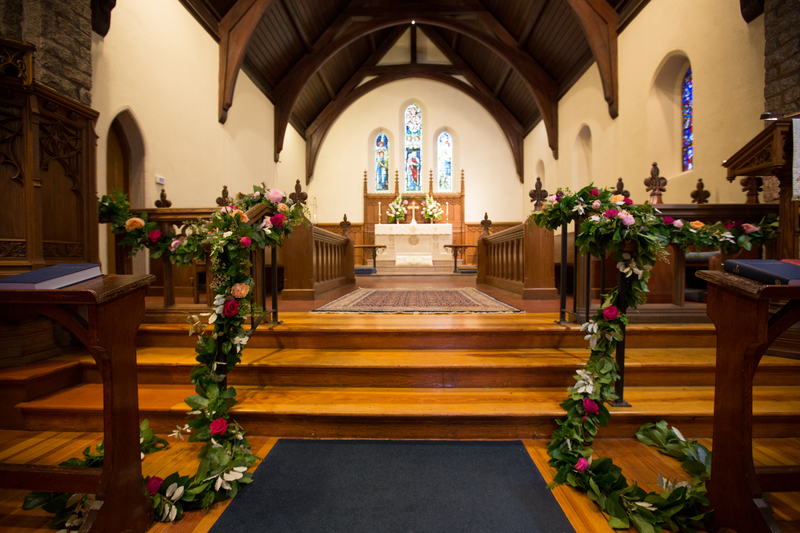 This access can include the ceremony in our historic Church sanctuary or in our Chapel, the wedding reception in our beautiful Auditorium or on the lawns, and photographs in our gardens.The Church holds approximately 180 people and the Chapel holds approximately 36 people. All other aspects of the wedding (including the officiant) are handled by the couple. More details about this arrangement are available through conversation with our Parish Manager (office 781-3366 / email smary@smary.org). Office hours are: 9am – 4:30pm Mon – Thurs. (excluding holidays). 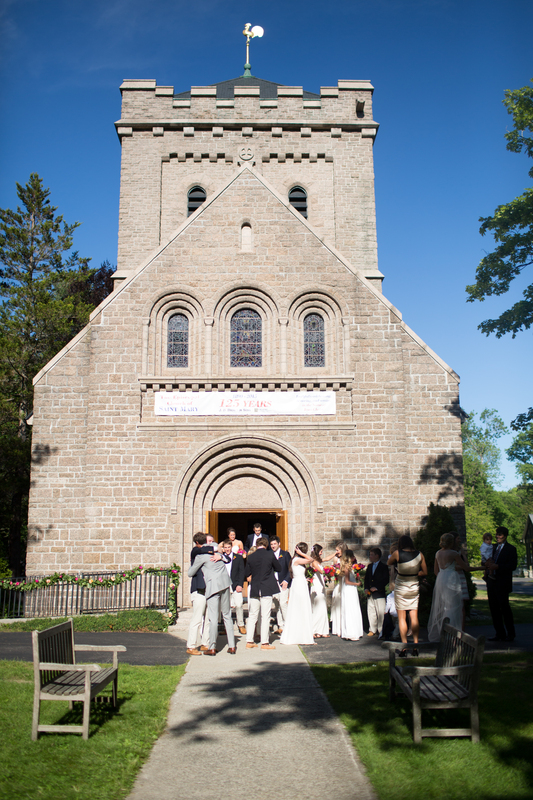 Below are a few pictures of recent weddings here at Saint Mary’s.